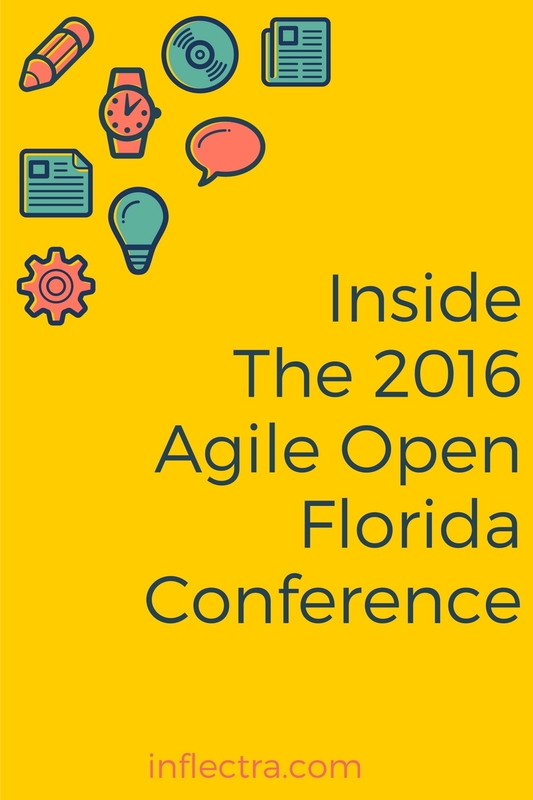 Unlike more traditional conferences that feature keynote speakers and breakout sessions, the OpenSpace format of 2016 Agile Open Florida allowed for vastly more meaningful interaction between the participants. The central premise of this conference - that the real value is in the side conversations instead of the scripted presentations – was on-point and made those side conversations the main attraction. For a Sapient alumnus like myself, OpenSpace is not an entirely new concept, but a variant of Sapient’s “facilitated client workshops” called Fusions and RIPs. 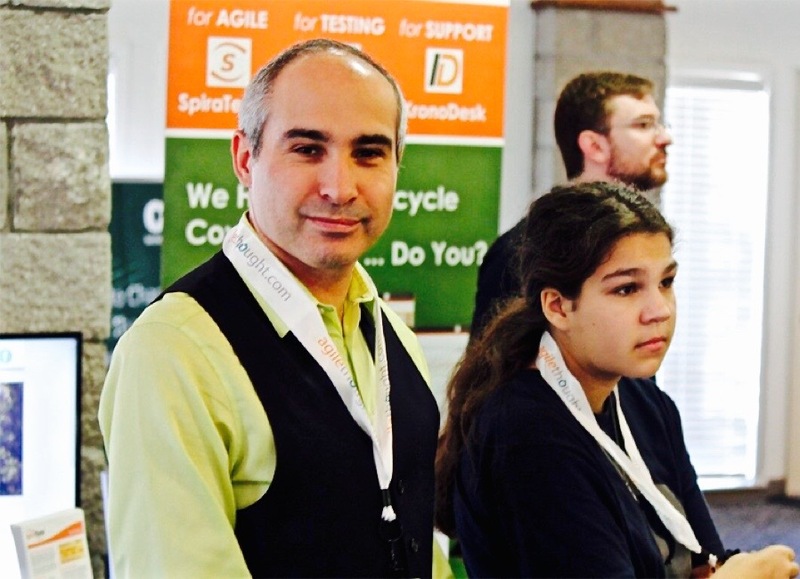 Testers vs. Agile: Testers felt like the agile movement was going to put them out of a job. At a recent Test Masters event in NYC that I attended, testers seemed to have a lot of anxiety about this. My recommendation? - Use approaches such as exploratory testing and session-based testing as ways to make the testers feel valuable and involved. Testers & Automation: Having testers follow scripts of discrete clicks like robots is both pointless and inefficient. I recommend automating all repetitive testing and leaving the testers to explore and find things that their intuition leads them to. Waterfall vs. Agile in Classrooms: You’ve noticed how schools used to teach kids in a very “waterfall” way, but with rise of Google classroom and Chromebooks, they are being encouraged to work in a more Agile way? My daughter (see photo) is used to working in the cloud at school and at home, starting a draft, getting feedback and then iterating on the minimal viable product (MVP). Hardware & Agile: We discussed how Kanban came from Toyota’s lean manufacturing process and that new factories are being designed to be reconfigurable and modular, with the different steps in the supply chain capable of being moved and changed on the fly. Hats Off, Toyota! 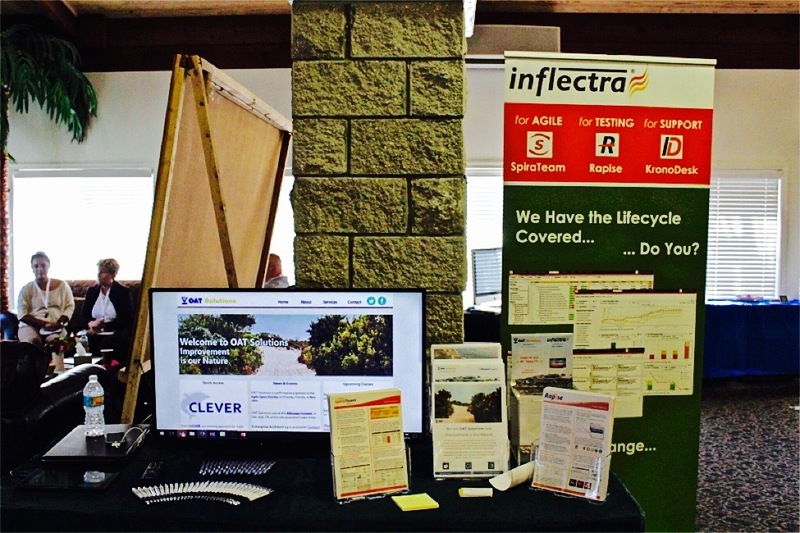 Overall, 2016 Agile Open Florida Conference was a success and a proof that Agile has entered the mainstream and is able to transform planning outside of software development. Adam Sandman is a Director at Inflectra.